How you look at McLaren's decision to hand Lando Norris his Formula 1 debut next season depends on whether your cup is half-full or half-empty. The positive, bordering on naive, outlook brings feelings of optimism and excitement over the prospect of 'the next Lewis Hamilton' ushering in a new era for McLaren as the fallen giant picks itself back up. The negative, bordering on cynical, view harbours scepticism of McLaren's ability to escape its current malaise and fears it will just repeat its recent failings and cause another rising star to burn out. However full your cup, McLaren signing such an exciting talent is a feel-good story for a team that has been drifting up a certain creek without a paddle for a while now. There are clear echoes of Hamilton's success story already and the prospect of Norris emulating his countryman are too tantalising for many not to take the bait. Yet Hamilton's McLaren past may be a red herring. His glorious arrival was a decade ago now, and his 2008 championship stands as McLaren's most recent title victory. McLaren's narrative has twisted since then and the team has morphed into a Frankensteinian monster that chewed up and spat out the three young drivers it pinned its future on over the last five years. Stoffel Vandoorne, the man Norris will replace at McLaren, is only the latest victim of its young-driver curse. 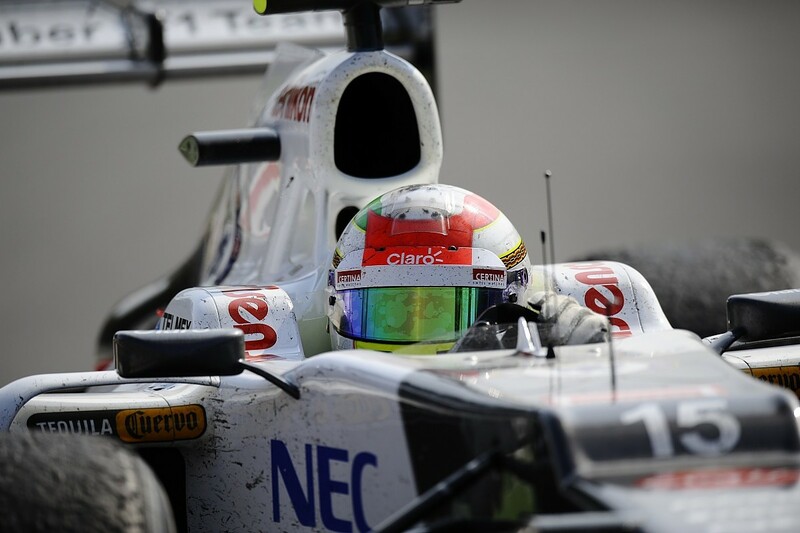 Before him, Sergio Perez and Kevin Magnussen felt the blunt force of its troubles. It is something Norris, still only 18, must break if he is to realise his immense potential. That is part of the reason Norris and McLaren are already trying to eliminate the burden of mutual expectation. The problem is, Norris is a winner. Norris has won all five of the single-seater championships he's completed since 2015 - MSA Formula, the Toyota Racing Series, Formula Renault Eurocup and NEC and European Formula 3 - and is fighting for the Formula 2 title. Vandoorne's junior career as FR Eurocup champion, Formula Renault 3.5 runner-up and GP2 champion was considered prodigious but Norris moved the goalposts. All three of McLaren's recent rising stars arrived with great expectations. Perez has a reputation of a pay driver but those that think that forget that he was a GP2 runner-up who McLaren stole from under Ferrari's nose for 2013 after two strong years at Sauber in which he came close to shock race victories. Magnussen arrived a year later as the FR3.5 champion that defeated Vandoorne and Red Bull protege Antonio Felix da Costa. Then Vandoorne got the nod last year after McLaren binned Magnussen and spent two seasons prioritising experience with Fernando Alonso and Jenson Button. Three very good young talents have stepped up alongside a world champion in their rookie McLaren season - and in the case of Magnussen and Vandoorne, their rookie F1 season full stop - and performed solidly but been shown the exit door. McLaren's slide down the order triggered power battles behind the scenes, creating a complicated and toxic environment that piled massive pressure on Perez and Magnussen and made it tough for them to survive, let alone thrive. McLaren is confident Norris will not suffer the same fate. Unlike this time 12 months ago, there are no misplaced declarations of race-winning or podium-challenging glory to come next season, which is a sign of the team finally accepting its situation as an underachiever. Linked to that is the overall change within the company since Ron Dennis was finally ousted for good and Zak Brown has gradually become a more prominent figure. That the team has failed spectacularly in the past year is not up for debate, and that is a clear mark against the new structure. But at least McLaren is aware of what it has done wrong historically, especially with young drivers. 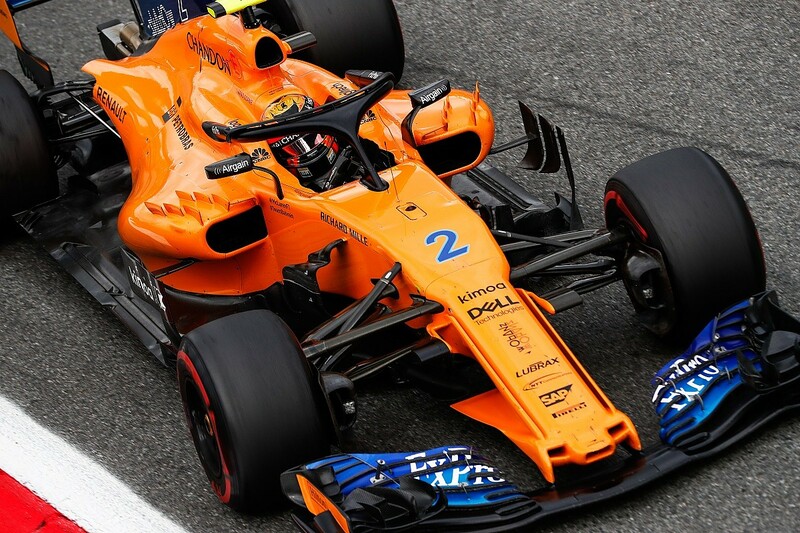 Gil de Ferran was appointed sporting director earlier this year as part of the post-Eric Boullier reshuffle, and he has been charged with, as McLaren F1 CEO Brown puts it, "making sure we learn from some of the mistakes we have made in the past" with young drivers. It's easy to blame the previous regime on Perez and Magnussen not coming good, but there is no simple answer to Vandoorne's slump. He was the most highly-rated of all three drivers and scored a point on his debut in 2016, when he replaced Alonso in Bahrain. His first full season was solid, which is a pretty fine effort in the circumstances of McLaren-Honda imploding in its third year. 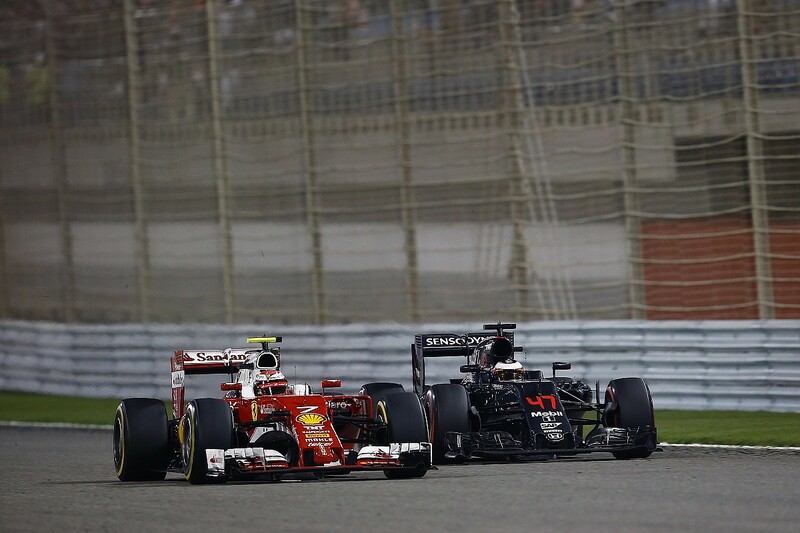 Alonso outscored him 17-13, netting points in five races to Vandoorne's three. Hardly a dismal showing from the Belgian, who was closer to Alonso's pace than the likes of Kimi Raikkonen and grand prix winners Felipe Massa and Giancarlo Fisichella had been at times in their spells as the 2005/06 world champion's team-mate. Vandoorne's main problem is there has been no visible progress in 2018. He is the only driver to have a 14-0 scoreline against him in the team-mate qualifying wars. Brown suggests that a year spent losing track time through reliability problems and Alonso's experience helping him work around the team's difficult '18 car have disrupted Vandoorne's momentum. Brown's theory is Vandoorne needs a fresh start elsewhere to recover the sort of confidence and quality he showed in his junior career. So, essentially, he has ended up in the same situation as Magnussen and Perez before him: broken by McLaren and tossed aside, albeit after lasting one more season, and now searching for a second chance elsewhere. The collective woe of Perez, Magnussen and Vandoorne has been down to many factors, not just struggling in a bad car. Norris has a chance to avoid that. He will not have a world champion on the other side of the garage casting a long shadow, he will be in a team that is not suffering from the weight of misplaced expectation and he and McLaren have a lot of data from his defeated predecessors to assess what mistakes, either from team or driver, have been made in the past. Norris points out that "every driver is different" and perhaps he alone could be different enough to prevent a repeat of those before him. His analytical, self-critical and intensely motivated character stands him in good stead not to repeat the failings of Perez and Magnussen, who were criticised for not having the right mentality at McLaren. He will have his own demons to face, as all drivers do in stepping up to F1. Vandoorne openly admitted to struggling to adapt his driving style from F2 to F1. So, Norris says he will try to "learn anything from Stoffel and from the team about why they don't think he was good enough, why they think I could be better, whatever I can to improve or they can do to help myself improve". He calls Vandoorne a "pretty damn good driver" who he rates higher than the majority of the F1 grid, and has sympathy for the man he will replace for going up against Alonso "when McLaren was probably at their worst ever". Unlike the others, Norris should not find himself struggling to survive his own team. Collapse offers the best chance to rebuild, hence McLaren's changing emphasis and management, and aligning that with the elimination of the Alonso factor gives Norris a sturdier foundation to enter F1 than his predecessors. Alonso has never shown any signs of wanting to derail Vandoorne, but his power within McLaren means he was always going to indirectly hurt his team-mate's prospects. Alonso is the man, and the team is shaped around him. Vandoorne always had to find a way into that, like Magnussen before him - just look at how important the commercial benefits of Button, a long-time Honda ally, were when McLaren weighed up who to keep alongside Alonso for 2015. Norris also believes the team has "much more of an understanding of what needs to be done" to help drivers adapt to McLaren. Brown also believes the team's repaired bond with Alonso, who it fell out with spectacularly back in 2007, is evidence of a culture change that will benefit its new star. Partnering Sainz, a driver with lots of experience and a strong midfield record, but without a superstar reputation or even an F1 podium to his name, is a solid starting point for a rookie. There is less risk of early disenchantment, and if McLaren really has learned its lessons, and Norris gets the focus he needs, then he will adjust to F1 quickly anyway. 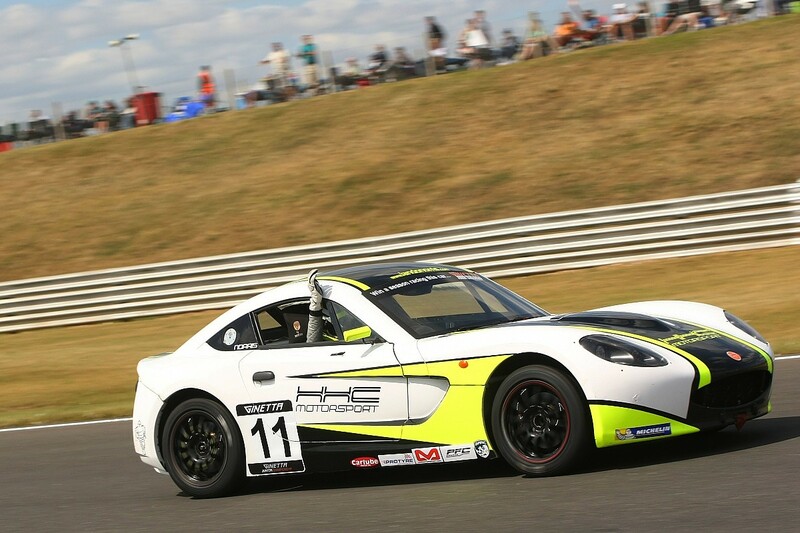 Norris's pace and adaptability has been evident from his first season in single-seaters, having driven 11 different specifications of car from Ginetta Juniors through to F1. Some sniff at his family wealth providing such opportunities, but it is down to the individual to make the most of them and Norris has done exactly that. Those attributes helped secure him the 2016 McLaren Autosport BRDC Award after he starred in MSV Formula 2, McLaren GT3 and Mercedes DTM machinery over two days at Silverstone. They were also the reason he impressed McLaren so much in his F1 test and Friday practice outings this year as the team threw him into a grand prix weekend experience for the first time to see how he would cope. Norris will be tested far greater than that next season and beyond, but all signs point to a driver who will not be perturbed by the pressures he will face next season. 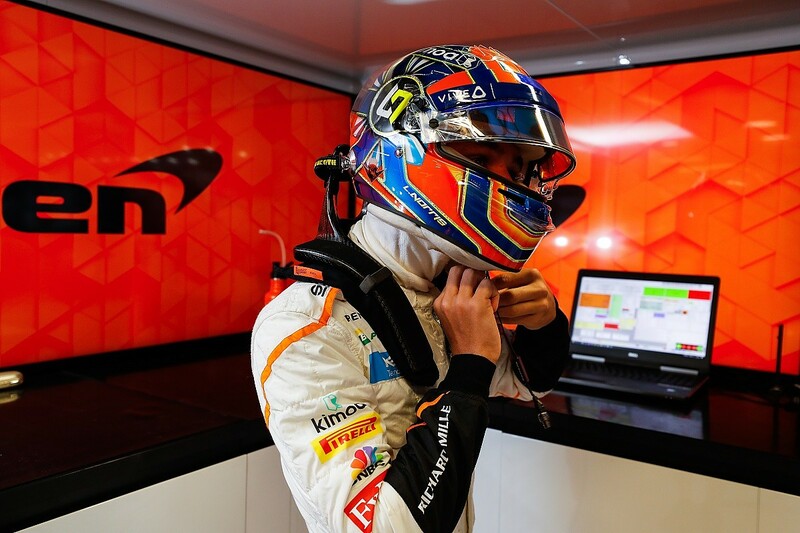 McLaren believes that his lack of nerves and anxiety at his most pressured moments, such as witnessing him approach his FP1 outings the same way he has an F3 or F2 race weekend, is testament to this. However good he is at present, Norris is aware that he has limitations in an F1 context and describes his two main problem areas as "consistency of remembering everything that's happened in the past, what's happened on this race weekend, the previous race weekend, and being able to develop the car". Experience should address both points. He has another wrong to right before then in F2. He's not won since the opener in Bahrain and trails Mercedes junior George Russell by 22 points with four races left. Norris says one-lap pace has gone from "my biggest forte by a mile" to his "biggest weakness at the moment, through no obvious reason, or obvious explanation". Lacking one-lap pace will not cut it in F1, so Norris is under pressure to establish exactly what the problem is. Plenty of drivers struggle to understand Pirelli's tyres, and that is as much the case in F2 and GP3, which Norris has no experience of, as it is in F1. It could also easily be a mismatch between Norris and the new F2 car. This is less concerning, but as McLaren has proven for several years you are not guaranteed an easy car to drive in F1. 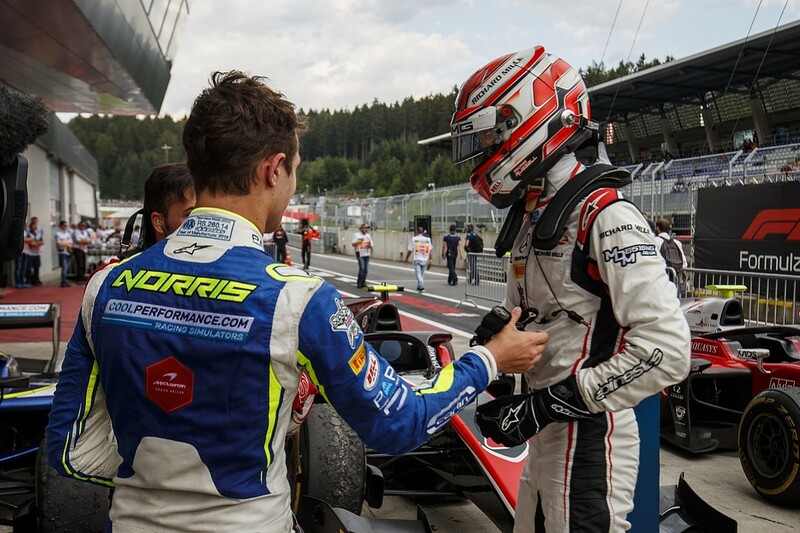 Norris believes he and Carlin have made progress over the last two F2 weekends and continuing that to the end of the season will be vital to his title chances, his development as a driver and ultimately the momentum that has carried him so far already. "I know I'm better than what I'm currently doing in F2," he says. "I'm still working hard and trying to make improvements, I'm still trying to win. I don't want it to say on my CV: win, win, win, win, win, loss, Formula 1." As Vandoorne has proven, though, a stellar CV is no guarantee of anything - especially in F1, and especially at McLaren. Call it a curse, call it bad management, call it whatever: this cycle needs to end with Norris. McLaren is out of excuses. It cannot afford to run out of talent as well.